Home Procurement News The need to update legacy systems: Could it benefit from strategic procurement? The need to update legacy systems: Could it benefit from strategic procurement? 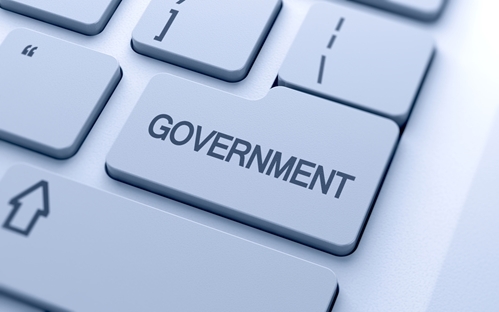 New IT demands in government may lead in turn to a focus on the supply systems for businesses. It's clear that several agencies need to modernize, and there's a chance there for smart procurement to solve the problem. Looking at what governments will expect from IT, it's hard not to see the impact of general changes. Government Technology mentioned the growth of cloud technology and the influence of Software-as-a-Service models on key decisions. There's also the push to modernize old systems, something many legacy companies are dealing with but which can be especially concerning for high-stakes government agencies. The source spoke to Amy Tong, CIO for the state of California, who referred to updating efforts at the state's Office of the Treasury. "They were looking to replace a legacy system and instead of going for a single system integrator, they too have grouped their functionalities in smaller scope and then they sequenced those scopes based on the priority of the business," she said. "There is recognition that modernization needs to happen in government as a whole." Tong also said that the organization is using a third party to manage other contractors. As similar measures prove far from unusual, the process of organizing and obtaining new components may need to change as well. The article as a whole emphasized the desire for speed and flexibility in government IT, but relevance could also be a factor. One of the other consequences, the source added, is a model where multiple agencies work together to share resources. The prevalence of legacy systems has been a specific problem from the government, and could reflect a decrease in IT spending as a whole. Last year, the Government Accountability Office released a report on the trends seen over the years, noting that federal IT expenses dedicated to "development, modernization and enhancement" have dropped by $7.3 billion in the past seven years. The Departments of Defense, the Treasury and Veterans Affairs all were said to have systems older than 50 years. Along with this report, there is at least some recognition that modernization needs to happen in government as a whole. FedScoop recently reported on a gathering of IT professionals in government, and what they believed was important for the future of the field. Some of the necessary changes they noted included a need for external partnerships outside of the industry, as well as a culture within different groups that encourages necessary updates. Though these concerns may fall beyond the realm of supply and procurement, per se, they do lay the possible grounds for future updates, as buyers start reacting, especially with the prospects of security vulnerabilities in older systems. With this environment in place, agencies can look for IT sourcing options that help streamline delivery for efficiency. One of the biggest reasons to embrace this is to attain the flexibility needed due to the new focus on improving older systems. There might be other priorities, including maintaining these old systems instead of replacing them, but the ultimate goal could still be to save money and increase response time.